Based on selected writing instruments of his ancestors, it was a personal challenge for Anton Wolfgang Graf of Faber-Castell to rediscover products of the past and to transfer them to the present with timelessly valid design and modern technology. With the Collection, Graf von Faber-Castell, these ideas have taken shape: the world of sheet metal is the focus of this exclusive range, which, in addition to exquisite writing instruments made of valuable precious woods, also includes high-quality desk and leather accessories. The perfect pencil is an individual and unmistakable core product of the collection - an elegant pocket pencil, which holds sharpeners and erasers in its lengthener and under the end cap. 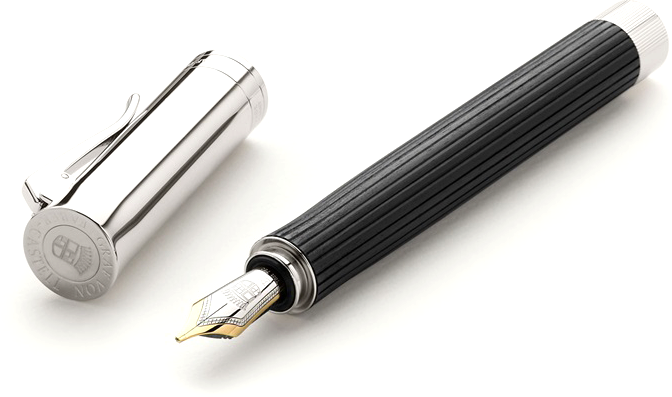 The hand-written word is an honour for the recipient, for the writer exposes his thoughts and feelings to the reader. There are many occasions to write - and there are writers from the house of Faber-Castell who make something special, from a word, a line or a letter.